First time on the market, one owner. Fourteenth floor 3 bedroom, 3 bathroom "Nautilus" floor plan/unit in the La Sierra Tower at Coronado Shores. La Sierra is an oceanfront tower located directly next to the iconic Hotel Del Coronado. 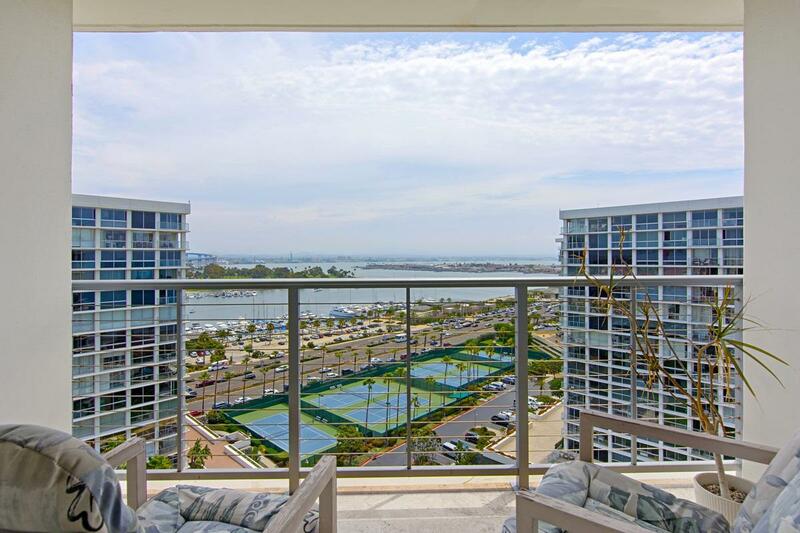 Soaring views from this location to: Glorietta Bay, Coronado Bridge, Pacific Ocean, Coronado Beaches, the Silver Strand, and the Hotel Del Coronado. Bring your design plans. Price reflects original condition. Includes 3 deeded parking spaces. 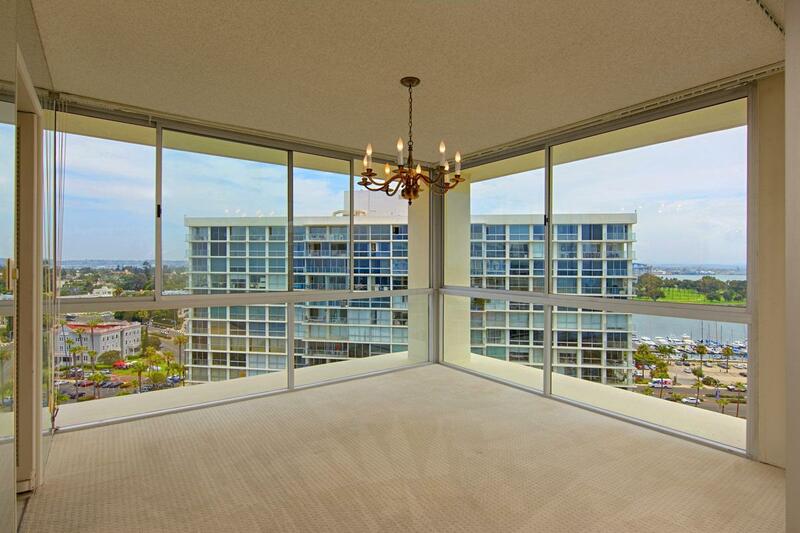 Sellers will carry for 12 months Rare opportunity to purchase a 3 bedroom, 3 bathroom corner unit in the La Sierra Tower. 1408 is the Nautilus plan. Currently only 3BD/3BA in the La Sierra tower on the market. The 14th floor location allows gorgeous views to the Hotel Del, Silver Strand beach, Pacific Ocean, Glorietta Bay, Coronado Bay Bridge and Coronado Golf Course. 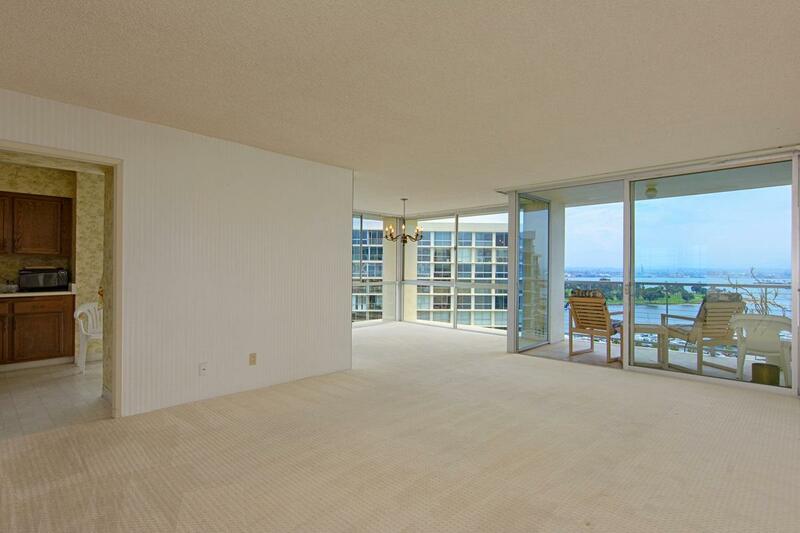 Parking for this unit has a 3 deeded spaces-1 tandem, 1 single-plus a storage locker for beach toys, bicycles, etc. 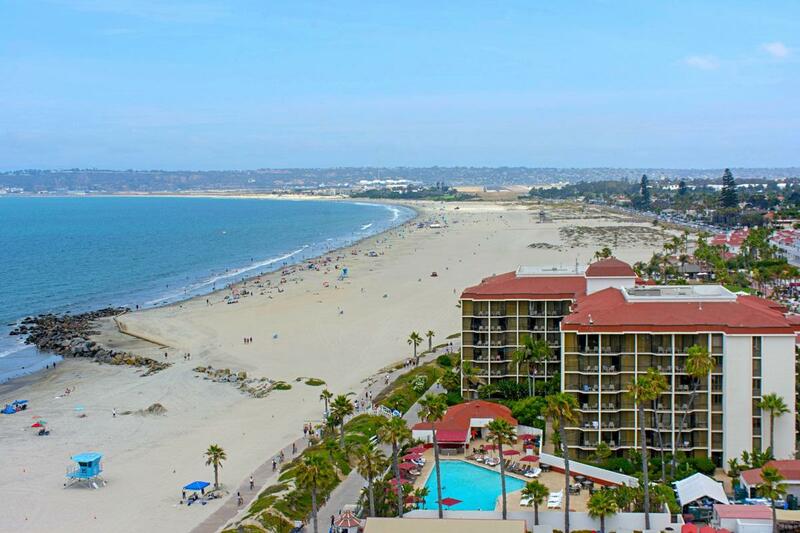 La Sierra tower is ideally located oceanfront next to the Hotel Del Coronado. Short term rentals of at least 27 days are allowed. La Sierra tower has a beautifully appointed lobby with professional management and doorman in place. Copper plumbing.La Sierra will be installing a new, state-of-the art elevator system starting in November of 2018. Building also includes a newer fiber optic network with 1000mb internet. Coronado Shores has an abundance of amenities: 8 tennis courts (4 lighted) 4 swimming pools, barbeque/grilling areas, 2 oceanfront clubhouses (the Roeder Pavillion and The Beach Club, and of course direct beach access to the beautiful Silver Strand Beach. The Hotel Del is a quick 5 minute walk away. Short walk/bike ride to Coronado Village. Easy access across the bridge to San Diego International Airport. Listing provided courtesy of Real Estate Places. Listing information © 2019 San Diego MLS, Inc.